新聞人事全面睇 shared 方健儀 Akina Fong's post 記協50週年，晚宴主題為「逆風堅持」 張寶華 Sharon 's 13 new photos. 呂秉權 shared 香港記者協會 Hong Kong Journalists Association's video. 香港當年今日 added 5 new photos. 尹兆堅 Andrew Wan shared 民主黨 The Democratic Party's post. Bon Lee, Stan Ma, Agnes Tong and 18 others like this. Lun Alun, Emil Chan, Nuhcak Yu and 4 others like this. Sherry Chu, Danny Sin, Benson Wong and 3 others like this. Cheung Ting Kai, 周汝安, Dasabala Lim and 26 others like this. Lisa Pun, Sheron Chung, Yung M Fong and 35 others like this. 呂智恆 shared Stand News 立場新聞's post. Fai Ho, Kitty Woo, Vanessa Un and 11 others like this. Stephen Moh That is CHINAMAN! 周諾恆 Jaco Chow Nok Hang shared Oh My Media's video. 進步教師同盟 Progressive Teachers' Alliance shared a post. 謝比利, Legend Lau, 進步教師同盟 Progressive Teachers' Alliance and 5 others like this. Jj Chan, David Chan, Kayi Mak and 7 others like this. 進步教師同盟 Progressive Teachers' Alliance shared Yu Hong Chan's post. Law Kc, Shek Ching, Amy Chan and 84 others like this. Hosta Chan, Nelson Chan, Chow Chow and 4 others like this. 保衛香港自由聯盟 shared Hong Kong Free Press HKFP's post. Exclusive: "I see how the church is being persecuted, and the bishops are being humiliated," Cardinal Zen said. "Any agreement on the side of the Vatican may be seen as collaboration with the government to persecute our people; that's terrible." In an interview with HKFP, Zen stresses his loyalty to the Pope and says he is hoping for a miracle - as there is "no room for optimism." Kai Chi Leung 梁啟智 shared 麥德正 Mak Tak Ching's post. 葉一知 shared 漁農自然護理署 Agriculture, Fisheries and Conservation Department's video. 葉一知 shared Kay Lam's post. Fiona Cheng, Chow Chow, Fun's Bureau and 19 others like this. Joseph Li, Hau Leung Hui, Kitty Ip and 52 others like this. Chung Ming Yam, Crystal Yu, Kent Chong Cheung and 433 others like this. 香港作家王迪詩 shared Samsonite Hong Kong's video. Cheung Ka Po, Stacy Lam, Isabel Taurus Lam and 769 others like this. 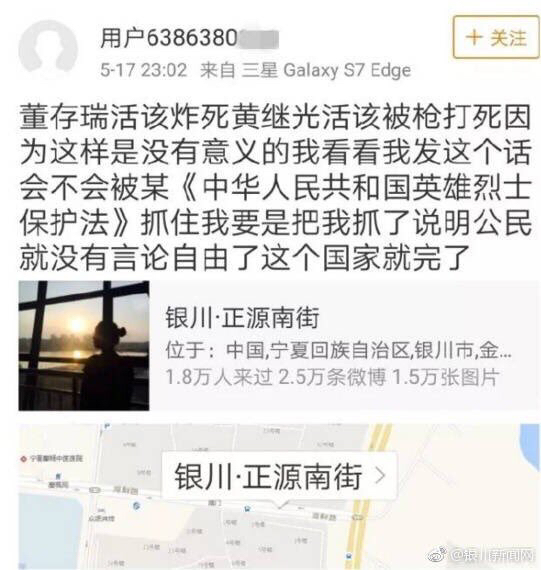 早兩天看了一個好古怪的新聞: 在大陸某城市, 兩個女人平排在街上走, 其中一個女人手抱着小孩, 因為小孩突然大哭, 她行快了兩步, 就是行快了她身邊的女人兩個身位. 就在這一瞬間, 天空上突然從天而降了一隻大狗, 大狗一壓就壓在後面那個人女身上, 因為衝力太大, 那個女人頭撞地, 當場被大狗壓至昏迷, 醫生說情況不好, 應該救不了. 但是, 那個女人如果行快兩步, 又或者行慢一步, 她都不一定出事. 但就在這死亡的一秒間, 她做了大狗的替死鬼. 一切死亡意外, 我們以為是意外, 原來冥冥中都是有”鋪排”的. 死神要找那個女人, 於是跟她本來一起平排行的女人, 因為小孩突然大哭, 走快了兩步. 這是快這兩步, 她沒事, 而後面的女人, 莫名其妙給那隻不知從那裡來的大狗壓死了. 事出不會無因. 一切你遇到的人, 遇到的事, 得到的, 失去的, 都是一種定數. 意思就是它們都是跟據你過去做的因, 經過了漫長嵗月之後, 變化成的果. 因和果是一組, 因先來, 果隨後. 但果什麼時候來, 以那個形式來, 我們不會知道, 你也絕對估不到. 它來時你自然知. 這個女人和大狗中間發生過什麼事, 沒有人會知. 好以好玄. 杜其峰十幾年前的一奪電影” 大隻佬”講的是類以的道理. 一切看以的意外, 都是因和果. 你自己種的因, 你不一定記得: 什麼時候做? 做了什麼? 但冥冥中是有記憶的. 於是, 你不記得不緊要, 衪自然會找你結賬. 當然不是. 有些人有權, 為了私利, 做一些顛倒是非, 黑說成白, 破壞社會安寧的人, 破壞社會幸福的人, 雖然他們不是舞刀弄劍, 但其破壞力更大, 果報一定有的. Ray Wong, Che Yee Chiu, Kwok Yun and 32 others like this. Patrick S W Lee Fate, destiny, luck, chance...same as in your column at HKEJ today. Many stars say that when they wear glasses, they become themselves. Ha ha ha ha ha. Becky Fung, Ellen Pak, Ka Yi Chow and 22 others like this. Louisa Yu, Ada Chan, Cy Leung and 184 others like this. 黃之鋒 Joshua Wong shared 袁嘉蔚 Tiffany Yuen's photo. 袁嘉蔚 Tiffany Yuen updated their cover photo. Po Chan, Ho Yin Chan, Brian Ng and 22 others like this. 本土研究社 Liber Research Community was live. Ho Yin Chan, Fish Yu, Frankie Choy and 80 others like this. Donald TK Mak · 1:07:13 How about asking for land from Shenzhen, mainland China? Alan Leong Kah-Kit shared 米報 Rice Post's live video. 米報 Rice Post was live. Thomas Sham, Man Heman, Yung Chun Kau and 138 others like this. Rowena Chan, Fomalhaut Lee, Che Chun Hoi and 48 others like this. 鍵盤戰線 Keyboard Frontline shared 浸大山神's photo. 鍵盤戰線 Keyboard Frontline shared 香港蘋果日報's post. Paul Young, 趙民煉, Siu Ling Chan and 108 others like this. Kam Chuen Wong This woman is "un ding ca ble", top of poor quality councillors. Who voted her in "lap sap wui" ? Lai Kwai Kwai, Frankie Tse, Winston Chong and 278 others like this. Kwok Wai Ching, 盧月碧, Kwai Cheung Lau and 46 others like this. Yu Su Tak, Karl Hung, Yue Carmen and 326 others like this. 潘小濤 shared 愛瞞日報Macau Concealers's post. Kogenta PY HO, Stephen Ho, Simon Kin and 49 others like this. Mei Mei Koo 傳媒一般係貪方便, 試問一個教授有好多嘢做邊度得9閒做訪問?! Kogenta PY HO, Aden Chan, Angus Juin Leio and 132 others like this. Ken Lee As long as the US reached any kind of agreements with China, it'd lose, as China NEVER honours it's promises. Kogenta PY HO, Simon Kin, Qs Chan and 54 others like this. Ericsson Leung, Hui Jai Mok, Ruby Law and 71 others like this. Elsa Lo, Mo Ling Wong, Joeho Ho and 87 others like this. Bingwing Yeung, Kitty Pearl, Gavin LY and 142 others like this. H-anchors 香港女主播研究所 added a new photo to the album: 陳逸雅 Kary Chan.